Jameson keeps the end goal in mind as he helps businesses and individuals navigate the difficult problems they face in litigation and bankruptcy matters. Jameson is experienced in all areas of bankruptcy law, although he most often represents creditors in Chapter 11 bankruptcy cases. Banks, private lenders, loan servicers and other financial institutions as well as businesses, debtors and trustees turn to Jameson for representation in state and federal courts, bankruptcy courts, and arbitrations before the American Arbitration Association. Jameson also handles pre-bankruptcy workout matters and state court insolvency and receivership cases. In his multifaceted practice, he helps clients navigate the complicated ins and outs of bankruptcy law to assure that their rights are in compliance with the complex bankruptcy code. A seasoned litigator, Jameson counsels clients in commercial disputes. He also represents owners, developers, design professionals, contractors, subcontractors and suppliers in construction defect and related matters. He handles all aspects of litigation from pre-suit demand through final appeal. Jameson is Board Certified in Consumer and Commercial Law by the Texas Board of Legal Specialization. Jameson tends to see the big picture for clients, rather than focusing solely on the immediate problems. With every decision, he keeps the end goal in mind and a strategy in place to strive for the most successful outcome possible for clients. Represented purchasers of assets in bankruptcy proceedings through Section 363 sales and pursuant to Chapter 11 plans. Represented financial institutions in more than 100 cases nationwide defending claims related to mortgage lending practices, including Fair Debt Collections Practices Act, Truth in Lending Act, Fair Credit Reporting Act, Real Estate Settlement Procedures Act and numerous states' consumer protection statutes. Represented general contractor in multiparty arbitration defending claims related to alleged defects in design and construction of five-story, 200,000-square-foot hospital. Represented engineering firm in defending property damage claims related to design and construction of municipal waste water system. Obtained complete defense verdict in jury trial of claims for malicious prosecution, defamation and intentional infliction of emotional distress related to pursuit of collection efforts for unpaid debt and missing collateral. 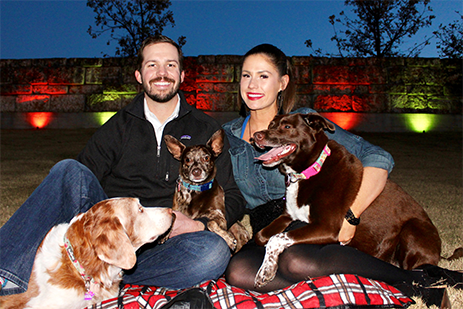 Jameson and his wife enjoy spending time with their dogs and traveling to various locations. Jameson has three dogs: an older Brittany spaniel, a crazy-fast Whippet and a Lab-pointer mixed breed puppy. 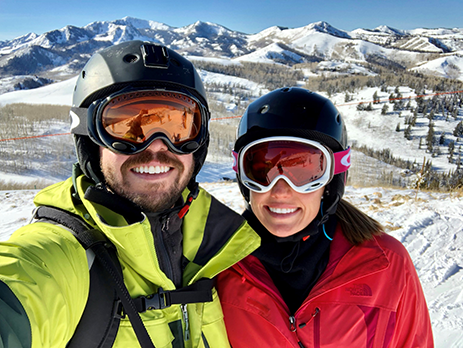 His wife, Sarah, works as an event planner for a software company and plans events around the world, so he often travels with her to diverse destinations, including Lisbon, Dubai, Vienna, Boston, Orlando and Washington, D.C. Jameson also enjoys skiing two or three times every winter. Jameson believes children should have high-quality learning programs available for afterschool, weekends and summer break. Jameson serves on the board of Learn All the Time Network to assure that children have access to quality out-of-school-time programs. The nonprofit organization provides weekly and monthly training to participants in the network statewide to give them ideas about improving the quality of their own programs, generating new ideas for programs, and providing grants and scholarships to people with unique ideas for afterschool activities. Jameson oversees funding for the programs, approval of organizational decisions, and the director’s fulfillment of the organization’s mission. Jameson also attends all of the organization’s major events. Jameson volunteers his legal services to help low-income individuals resolve their civil matters. 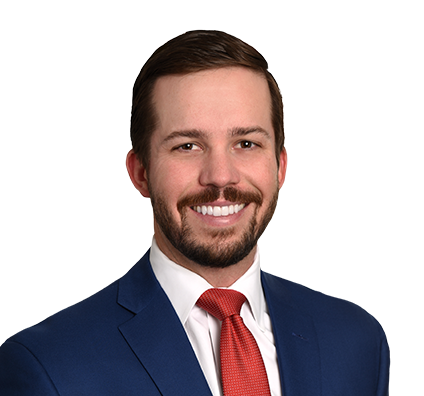 Jameson conducts pro bono work for Volunteer Legal Services of Central Texas, where he handles civil litigation cases on various subject matters, other than insolvency work. Typically, he volunteers for cases such as helping an individual negotiate a contract when he or she can no longer afford the payments or assisting an individual in recovering payment from a builder who never completed a project. Jameson also has handled immigration asylum and veterans’ rights cases. He enjoys working to achieve the best possible result for people who otherwise would not have access to legal representation.